If you have purchased or are considering purchasing one of our promotions available through our partnership with Groupon here are some helpful tips. Groupon offers our highest discount promotions. You will not find more bang for the buck in the fitness industry anywhere. Due to the high discounts, sometimes more than 70% off, we can only offer these deals to new customers. Because we change locations depending on the season and whether we are inside or outside, be sure to confirm your desired location open for registration. We currently have five primary location areas. These include Macomb, St. Clair Shores, Clawson/Madison Heights, Birmingham, and Novi. Confirm actual camp dates, times, and locations on our annual calendar. Depending on the location the days offered can vary. Some locations meet Monday through Friday and others may meet other days. If your schedule requires attending specific day(s) make sure to confirm your preferences at our annual calendar. For camps that meet more days per week than your ticket, you can attend any days of the week you wish up to your maximum. Go to the annual calendar and select the camp you wish to attend. Choose your ticket. Example, select 3 days per week, if that is the promotion you purchased. Add to cart and use your voucher number as your coupon code. Your purchase should be marked paid in full with $0 balance. 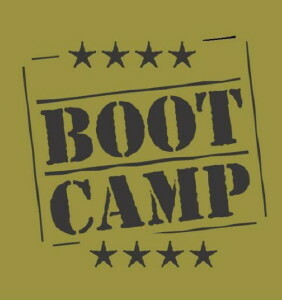 Attend your boot camp and enjoy. Thank you for making us part of your fitness journey. If you have any problems during the registration process feel free to call us at (866) 861-5423 anytime. We will gladly help you complete your registration.